Ecwid will seamlessly integrate with your existing Webflow website — there’s no need to create a store from scratch or deal with mounds of code. Sell your inventory from as many websites as you’d like; your Ecwid-powered Webflow shopping cart can be managed conveniently from one location. All changes made from this central hub will reflect across all your websites. Ecwid allows you to sell across multiple platforms: websites, mobile devices, social sites, and marketplaces such as Google Shopping, eBay, and Shopping.com. Ecwid integrates with social networks including Facebook and Tumblr. Furthermore, Ecwid is responsive, meaning your store’s appearance will adapt to each customer, regardless of their screen size. 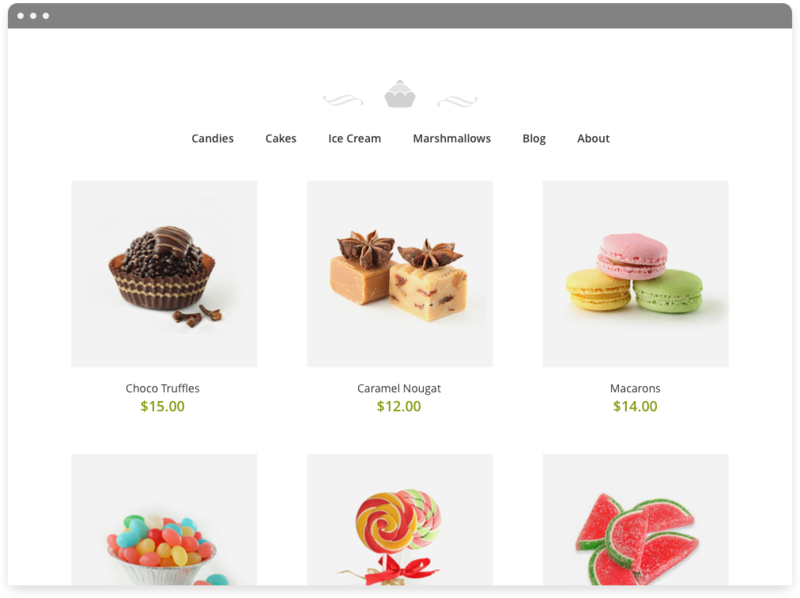 Creating a full-featured and free Webflow ecommerce platform using Ecwid couldn’t be easier. You don’t need to be a technology professional or coding guru. Your website can have Ecwid’s powerful shopping cart platform integrated in just a couple of steps. This means less time building and more time selling! There’s no need to rebuild your Webflow website to make room for the shopping cart, it integrates seamlessly into your current build. Once you sign up for a free Ecwid account, you’re well on your way to having a beautiful Webflow e-commerce solution directly on your current site. It only takes a couple of steps, and you don’t even have to know what HTML stands for. Upon installation and activation, you’ll have immediate access to your Ecwid store and will be able to embed it into any Webflow widget. When you create a Webflow shopping cart through Ecwid, you’re opening up a world of features and options to truly make the shopping cart your own, all while giving customers a great shopping experience. Thanks to our lightning fast AJAX interface and dedicated Amazon EC2 servers, your store will run quickly and smoothly, free of any lag. Managing your store is a breeze, with most preferences managed through one control panel — quickly manage things like inventory and promotions without navigating through endless tabs and web pages. With Webflow and Ecwid working together, your store will look great no matter how your customers view your site. Full responsiveness means that your site and cart adapt to the screen it is being viewed from; there are no cutoffs or alignment issues. With Ecwid’s unique social options, you can even share your store on sites like Facebook and Tumblr, and everything remains manageable from one control panel. Even international customers can buy from your business — your Webflow ecommerce solution through Ecwid has a number of built-in language translations for both the backend and customer-facing elements of your shopping cart. Not only will your site look great across multiple screen sizes and social sites, but across borders and overseas as well. Maximize your business’s potential with Ecwid and Webflow. Ecwid will always offer a free option, but if you are ready to expand by selling more products, we also offer a variety of paid plans featuring additional premium features that will be invaluable as your business grows. Ecwid is the perfect pairing with Webflow’s innovative visual CMS — get started today to quickly and easily sell on your existing website.